The latest Leica compact camera, the V-Lux 30, offers GPS, 3D photos and full HD video recording. 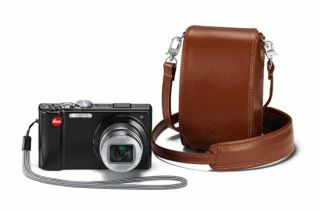 Leica has unveiled the latest addition to its range of compact cameras with the 14.1-megapixel V-Lux 30. Among the highlights of this latest Leica compact camera include a 16x optical zoom, Leica DC Vario-Elmar 4.3 - 68.8mm f/3.3-5.9 lens (24-384mm in 35mm format) and a 3in touchscreen LCD screen with a resolution of 460,000 pixels. The new Leica camera also offers GPS tagging, where the V-Lux 30 records the geographical coordinates of the user's location and the local time with every shot and saves them within the image data. Other key features of the Leica V-Lux 30 include full HD video recording in 1080i-AVCHD format and a faster continuous shooting mode for quick-moving subjects such as sports or wildlife, Leica claims. In the Leica V-Lux 30's 3D mode, photographers are able to create 3D pictures combined from two photographs taken in sequence, which are then saved as a 3D image in MPO format for viewing on 3D-compatible screens. Weighing less than 220g in a body just 33mm in depth, the Leica V-Lux 30 price tag sits at £550 and is available from June.